The conclusions to the discussion of housing need state that this additional work is likely to lead to a housing figure substantially higher than the 23,200 figure identified in the submission document, however the Inspector was not in a position to predict the outcome of any additional work conducted by the three local authorities. Alongside this, the inspector determined that the allowance of 550 dwellings in the housing supply figures for bringing long-term empty homes back into use were not justified, and requested that this be reviewed. The proposed 4% lapse rate in planning permissions was deemed also not to be justified, and instead the Inspector recommended that this should be set at 5%, based on historical data. The inspector noted that the submission version of the SWDP would lead to an under delivery of 2000 affordable homes over the plan period, although the work required on assessing overall housing need “would likely lead to an increase in the plan’s overall housing requirement” in turn positively impacting on the potential to deliver a greater amount of affordable housing in the area. The inspector concludes that as a result of the delays encountered by further work being required by the local authorities, “it is not possible at this point to estimate when the examination will progress to Stage 2”, where the non-housing policies of the SWDP will be examined. This in turn therefore will have a knock on effect on the estimated adoption of the plan, originally timetabled for September 2014,which will likely not occur until 2015. This interim report will likely have a number of impacts across the South Worcestershire Planning area, and the three local authorities that have collectively worked on the SWDP. The most significant is the ability for each local authority to demonstrate a continued 5 year housing supply, and therefore, the reduced weight that may need to be given to specific policies of each local authority’s existing development plan. Whilst Paragraph 216 of the NPPF states that local authorities may give weight to relevant policies in emerging plans, the fact that significant issues with housing levels and distribution remain, along with the inspector concluding that there are conflicts with national policy, indicate that a very limited degree of weight, if any should be given to these emerging policies. It is worth noting that as the inspector declared employment figures to be sound, a stronger degree of weight can now be afforded to general policies in this area, although, specific policies may still have unresolved objections which will be heard at stage 2 of the examination of the plan. This announcement also acts as a material consideration that each of the three local authorities and inspectors should take this report into account when determining planning applications. Specifically, any reference to figures within the 2012 SHMA should be reviewed, as it has been demonstrated that these figures as they remain are unsound. 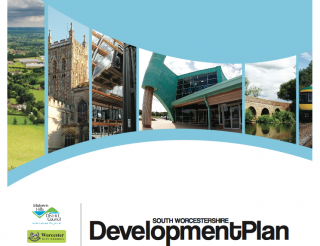 Should you require more information on how this report, the examination of the South Worcestershire Development Plan, or the state of either of the three Local Authorities existing Local Plans may affect your development or local community, please do not hesitate to contact us. We offer a wide variety of planning services, and are happy to discuss how this report may impact you. 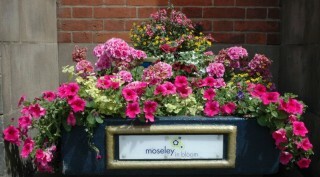 PJ Planning is proud to have sponsored Moseley in Bloom, helping the young people of Moseley Schools to develop gardening skills and interests. Pupils from Queensbridge School in Moseley worked in teams to take a hands on approach not only to gardening, but making use of recyclable materials. Pupils were able to take part in the entire process from planting and growing lavender, to use in food, and designing packaging for seeds. Use of recyclable materials for the design and creation of sachets enabled the pupils to understand the importance of recycling, and how a product can be reused in fun and creative ways, to assist in protecting the environment. The pupils are currently in the process of working with King David School on further projects, as well as members of the local community to create an urban garden. Their ultimate aim is to sell products at the Moseley Farmers Market, and present to the Royal Horticultural Society Judges. Whilst you're still digesting the recent changes to permitted development rights, a further course of changes has arrived in respect of information required to be submitted with planning applications; thankfully these are relatively minor, and appear sensible and uncontroversial. Licensing advice and representation to licensed trade clients. Refreshments will be provided, and we are also able to provide translations in Urdu, Punjabi and Hindi. No booking is necessary, so just show up on the day. In order to gain maximum benefit from the event please bring any relevant documentation. There are a whole series of changes which have now taken place, or which are about to take place to the planning system. The Growth and Infrastructure Act 2013 was enacted in the last few days, and the Planning Minister Nick Boles has signalled a Development Order enacting permitted development changes. Please find a summary of the changes set out below. The decision by the Council must be made within 28 days or within any other period prescribed by the Secretary of State, and cannot result in the requirement becoming more onerous. Where the local planning authority does not agree with the developer’s revised proposal for affordable housing, or does not determine the application, Section 106BC provides a right of appeal to the Secretary of State. If allowed, the outcome of a successful appeal would be a revised affordable housing requirement in the Section 106 agreement for three years, starting on the date when the appellant is notified of the appeal decision. If the development is not completed in that time, the original affordable housing obligation will apply to those parts of the scheme which have not been commenced. Developers are therefore incentivised to build out as much of their scheme as possible within 3 years. The procedures do not replace existing powers to renegotiate Section 106 agreements on a voluntary basis. Affordable housing obligations on sites granted in accordance with a Rural Exceptions Site policy are exempt from this procedure. A cost award can be made in an appeal against an appellant or local planning authority where either party is considered to have acted unreasonably. Section 2 of the Act allows the Secretary of State's to also recover his costs in such cases. iii) that, where an adjoining neighbour objects, the proposed development may be carried out only if the local planning authority consider that it would not have an unacceptable impact on the amenity of adjoining premises. In respect of supporting information to be submitted with planning applications, Section 6 of the Act states requirements must now be reasonable having regard to the nature and scale of the proposed development; and can be required only if it is reasonable to consider the matter will be a material consideration in the determination of the application. This will hopefully help to reduce the "it's on our checklist, therefore you've got to provide it" response from local authorities. Rest of the Country: Ashford, East Hampshire, Manchester, Sevenoaks, Stevenage and Vale of White Horse. The threshold for permitted development rights for change of use from B1 (business) or B2 (general industry) to B8 storage and distribution, and from B2 or B8 to B1 is to be increased on the 30th May from 235 square metres to 500 square metres. 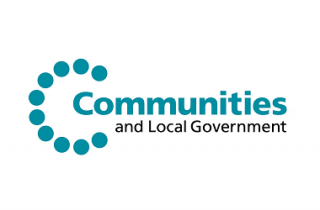 Buildings currently in use as B1 offices, C1 hotels, C2 residential and D1 non-residential institutions, and D2 assembly and leisure will be able to change their use permanently to a state-funded school without the need for planning permission from the 30th May. In addition, buildings of any use class will be able to be used as a state-funded school for one academic year. Also from the 30th May, redundant agricultural buildings of 500 square metres or less will be able to change to a range of new business uses "to boost the rural economy"
And finally, speaking at the National Infrastructure Planning Association conference in London on the 9th May, the Planning Minister, Nick Boles remarked in a question and answer session that "if anyone comes to me with an idea for new planning legislation I am going to shoot them".